This picture of sibling harmony and love aptly illustrates the way the Iroquois companion-planted corn (the eldest sister, who stood tall to guard the others), squash (who was always running off by herself when the sun shone) and beans (the youngest sister, who could only crawl). These three vegetable plants do indeed enjoy a symbiotic relationship and grow best when they are inseparable in your garden space. 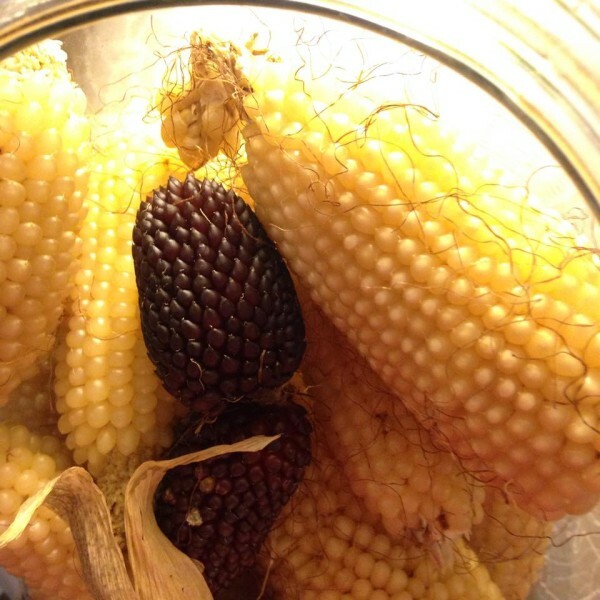 Nan Reinert of Chubby Pickle Farm in Robeson Township learned about the Three Sisters from her grandmother, who told her the Indians always grew corn, squash and beans in a circle. Was her grandmother making this up? Nan once wondered, but when she looked up the Three Sisters, she learned that her grandmother was exactly right. 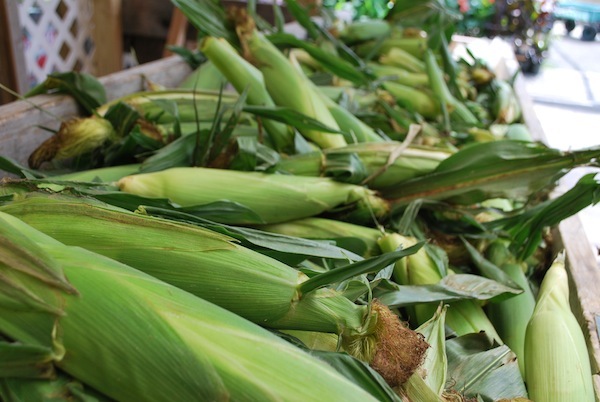 If you plant corn in a circle, it will guard its sisters, providing a cooler zone for them. Not only that, corn will let that sister who loves to crawl– the beans– climb up its stalks, just like beans would climb a fence or pole. 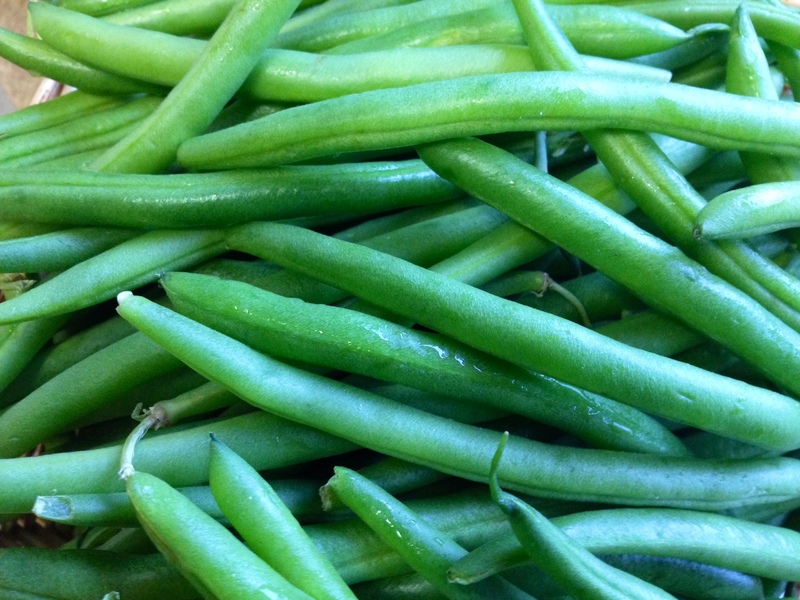 But there’s yet another reason to plant these vegetables together. “Corn eats nitrogen like it’s candy,” Nan explains. And guess what produces nitrogen? Beans! Planted alone, corn depletes the soil, so whether or not she arranges them in the classic Three Sisters circle, Nan always plants corn and beans together. Not only are the Three Sisters all companion plants, but they are also all native plants and are naturally suited to this environment. “If you want true success as a gardener, choose native plants,” says Nan. Which varieties of each “sister” is Nan growing this year? As we talked, she consulted her huge inventory of seed packets, organized alphabetically like a card catalogue, to check. Nan is planting Country Gentleman sweet corn, Strawberry popcorn and Indian Berries popcorn. Country Gentleman corn, Nan explains, does not have kernels arranged in tidy rows like the corn you pick up at most roadside stands. Instead, it looks like what you’d get if you put honey on the cob and dropped it into a big bowl of kernels. The kernels are arranged randomly all over the cob. I’d heard corn was difficult to grow, but Nan assures me it is not. She says she gets tons of popcorn and corn from her backyard garden. You need wind, she says, and you need beneficial insects. She invites bees and beneficial insects, choosing flowers they like and putting out pools of water for them. If you don’t have enough wind, she says, you can set a fan near your plants. Nan will be growing several squash varieties this summer: Patty Pan, Costata Romanesco and Sweet Dumpling. 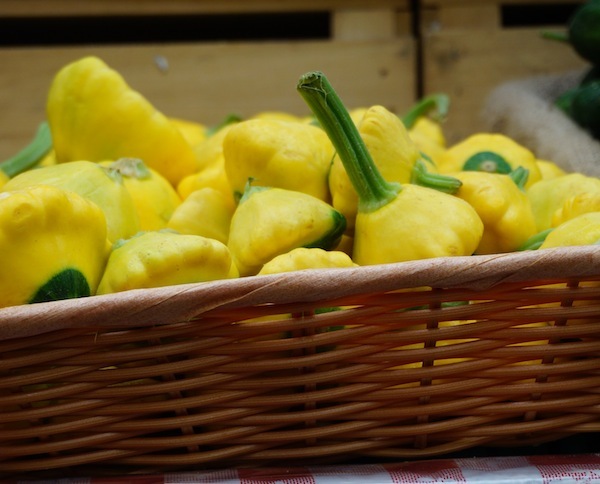 Patty Pan is a delightful, palm-sized colorful squash. Costata Romanesco, an heirloom zucchini-like striped squash, is one of Nan’s favorites. Sweet Dumpling, one of the sweetest squashes around, overwinters well, says Nan. She just finished eating the last sweet dumplings of her fall harvest! When it comes to beans, Nan plants a lot of them. She’s a vegetarian and values this protein source! 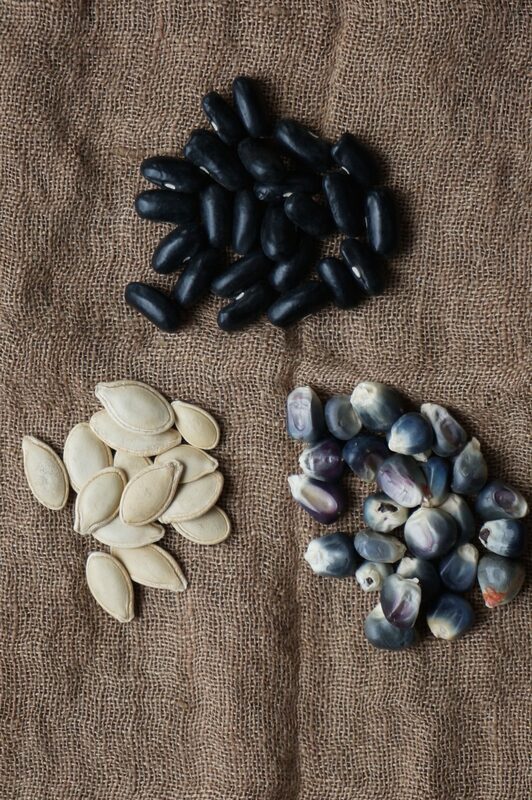 How’s this for variety: This year, she’s cultivating heirloom Speckled Lima beans, pole beans, French beans, Snow Cap beans, White Rice beans and Scarlet Runner beans, which are especially rewarding because of their bright, complex flowers. Ready to plant the Three Sisters? First, “tend to the soil,” says Nan. 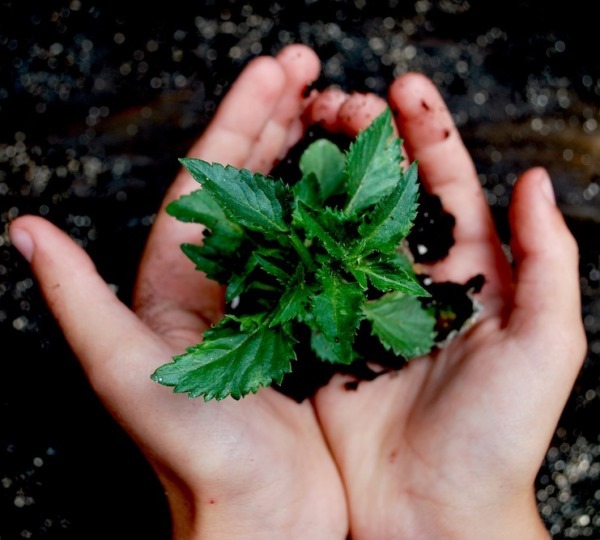 She advises gardeners to spend most of their time creating the best soil that they can. In addition to compost, manure and peat, Nan always adds Epsom salt to her soil since most plants are lacking the sodium magnesium it provides. Next, consider some other helpful companions and avoid bad combinations. Nan recently chose French marigolds. She went to her favorite garden stand and looked for the marigolds with the strongest smell. She rues the fact that they take up garden space, but she plants marigolds every year, along with scented geraniums, because they keep so many pests at bay and invite pollinators and beneficial insects. Every year, she’ll at least put them in pots around her garden if she needs the garden space for veggies. As for bad combos, Nan returns to some of her grandmother’s advice: don’t plant beans and beets together. Once when Nan was feeling skeptical about her grandmother’s advice, she decided to try this combination. Once again, Grandma knew best. Nan’s beets did not come up! Since then, she has also learned not to plant onions near peas. The reason? The onions won’t be as sweet. “Gardening is a science experiment,” says Nan. “It’s a game,” she says, and the aim of the game is to be able to grow the most plants in the small space she has. If you’re gardening in a small space, be sure to follow Nan’s Facebook Page, Chubby Pickle Farm, for a constant source of expert advice! And did you see that we’ve gathered all our garden blog posts into one convenient spot? Head to our Gardening Advice page and poke around! You’ll find great tips from local gardeners and our Garden Center staff!